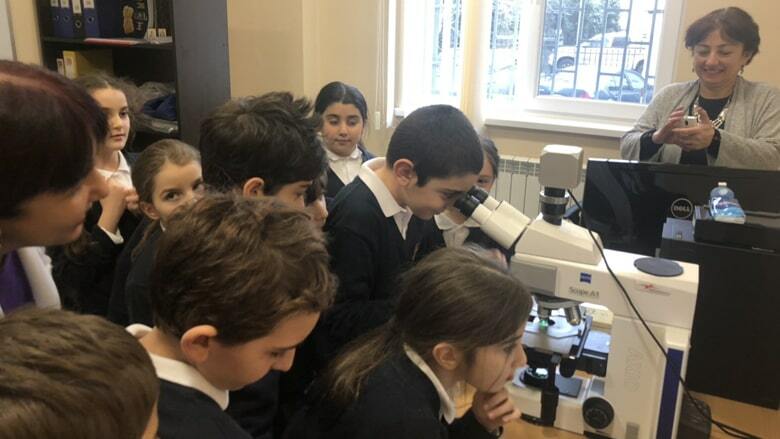 Grade 2 and 3 goes to cytogenetic lab "Genesis"
By the initiative of our school parent Tinatin Tkemaladze, Grade II and III students visited the cytogenetic laboratory “Genesis”. They were given a cognitive report on chromosomes and genes, and then children were able to get acquainted with how the laboratory works, looking into the microscope and see human chromosomes with their own eyes. In the course of the semester, such activity will also be introduced for senior students as well.